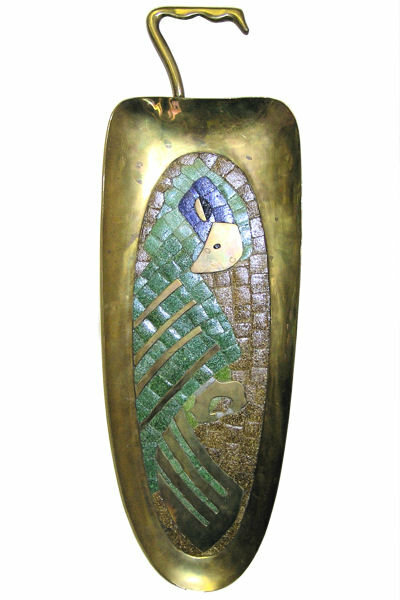 This brass and ceramic mosaic tray depicting a parrot was created by the important Mexican metalsmith artist, Salvador Teran (1920-1974). It measures approximately 23.5" by 8". 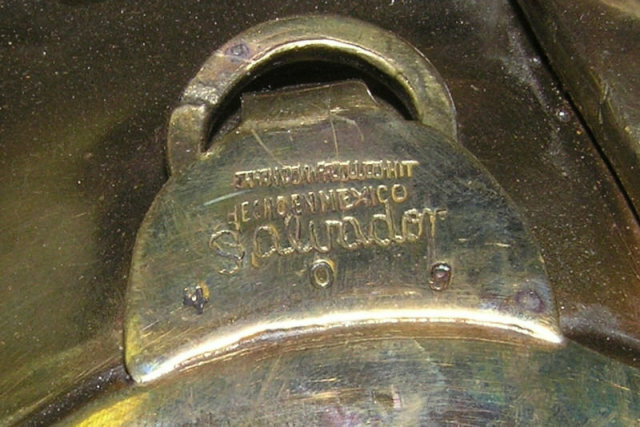 Born in Taxco, Teran worked there early in his career with his cousins before opening his studio in Mexico City in 1952. He is known for his metal and mosaic tilework designs which were incorporated into three-dimensional sculpture, wall art, jewelry and craft art including tea sets, beakers and dishes. His works commonly incorporate abstract and surrealistic human and animal shapes as seen in this tray. This tray likely dates from the 1950s. 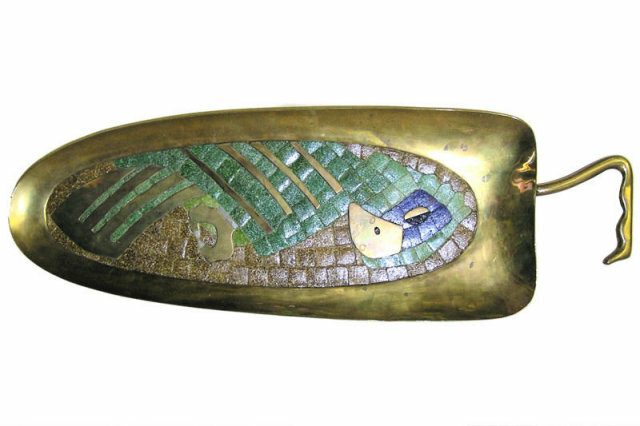 Items Similar To "Mid-Century Parrot Mosaic Brass Tray by Salvador Teran"